A nice change to have a rare pairs event – no handicap reductions this week, so easy for the organisers. Thanks to the 2 lady starters who volunteered at late notice – Terri Winter & Lynn Bell. Sorry no photos of the winners this week – the first two pairs were not at the presentation. Next week is the July Apollo Air competition and on July 8th it is the mid-summer major the individual strokeplay (with best gross prize). Please see me Wednesday or Friday night if you want to go to the presentation night at the Spaniard Inn (5€). This includes coach return for first 55, and entertainment from Dee. Food available if you want it. Our head greenkeeper, Jonathan, has left the company – he is to return to his homeland of France with his family, where I am sure there will be no shortage of job offers. He has been invited to the strokeplay presentation at the Spaniard Inn as an honoured guest. He has presented the course in the best condition he could with his hands tied through limited investment and staff, so we thank him and his team for their efforts. Next weekend I am back in the UK again, so as long as I have the information I will post the results from the Apollo Air on Monday. It was a hot day which makes you hallucinate…………..
50 players for the June Apollo Air competition, and for a change windy from the first hole. However, 8 players managed to beat (or equal) par. Blair Johnstone was a clear winner on 41 points. There was no ladies division as only 4 entries – they were included in their appropriate handicap division. Blair was a worthy winner of this month’s Apollo………. this was me on the 6th………………..
and this was Peter Reeves – on EVERY hole………..
Ray Vivian travels all the way from New Zealand to play with the society – hope he doesn’t want travel expenses……….. Thanks to Sandy Simpson who donated a bag of excellent Calloway golf balls. He went home this week but left them with me to distribute amongst the golfers. I left them on the 11th tee ready for shots over the lake – well, that’s where they came from! Prices for golf have been reduced from now until August 31st. It is now 35€ if there are at least 8 fee paying players , which should be no trouble on society days (Monday, Wednesday, Friday). Next week is a pairs betterball stableford, and on July 8th it is the mid-summer major – the Barry Barker Strokeplay championship, which will include a best gross prize. The evening presentation and party will be at the Spaniard Inn, which is on the driveway approaching Hacienda del Alamo golf club. It will be an outdoor event as usual (weather permitting!) and entertainment will be provided by my favourite, DEE. There will be coach travel provided by the society, tickets for the event are only 5€ including coach and entertainment, but if you wish to be on the bus please let me know – once it’s full, it’s full. Also I have given guests the choice to have a meal or not, there will be a menu with inexpensive choices, where you can decide on the night. Either let me know in person or email me at barry@cdagolf.com if you want to travel on the coach. 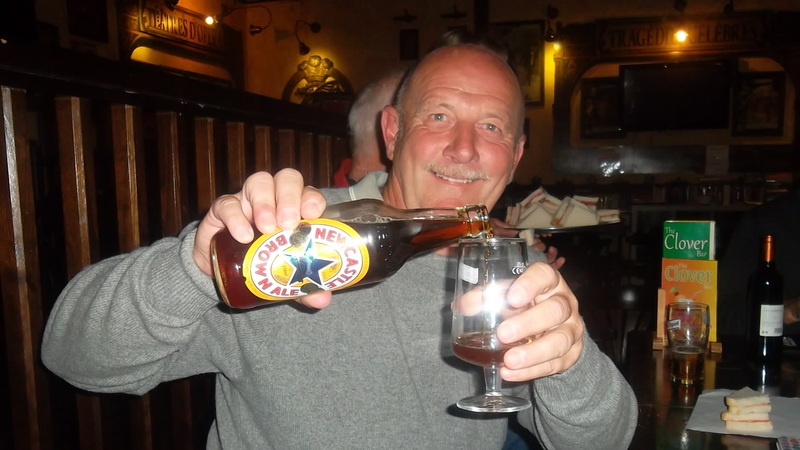 You can always drink to forget Dave…………..
newckie broon can cure all ills………. Phil, Blair, Keith & Stevie……………..
50 players in the team competition with 2 scoring on holes 1-6, 3 on 7-12 and all counting on 13-18. The greens were the slowest we have seen them for some time, maybe they can’t be cut when it is so hot. However, the winning team blew the opposition away with a record score for this format. The winners stepped on the gas on the last 6 holes, which caught most of the other teams out. The 3 man team had chance to pick any one of 8 scores (blind). Shows that even a team short a player can be compensated and get in the prizes. Unfortunately for our team Neil chose player one – this was Dave Lloyd from my team along with Kevin and Kim. We were in 2nd place until Dave’s points edged the 3 man team ahead of us and Dave out of the prizes! Again slow play was a significant factor, with scorching sun beating down on many who were out for 5 hours. We went out first and were round in 4 hours 10 minutes. A mistake in organisation meant all players were asked to putt out, but that is still no excuse for dropping 30 minutes behind the game in front – they are also putting out! Never saw a marshall monitoring speed of play to keep play moving. There were leaflets on all the buggies with the prices of refreshments but never saw a drinks cart. Also very disappointed with the state of the lakes – the 4th was drained for repairs a few weeks ago and still no sign of activity. Only the 18th is full, all the others are in a sorry state. It is really hot now, and there are limited buggies for those that want them in 35 to 40 degrees. So if you want to reserve one contact the golf shop on 0034 968328008. The society do not take responsibility for allocating them. Next week is the Apollo Air stableford for June. These guys used to be married……………………. Starting now at Mar Menor and El Valle we will be employing a new method to help regulate the speed of play. The marshalls on these courses will now have a flag connected to their buggy. When the flag is green, this means that the pace of play is good. When the flag is yellow, this is a warning indicating that your group is falling behind and needs to try and speed up the pace of play. The marshall will then give an appropriate amount of time to allow the group to catch up. If the marshalls flag is red, this means that your group has not caught up and all players must pick up their golf balls, recuperate the amount holes lost and restart play. We hope this new system will keep golfers informed of their position on the golf course and encourage all golfers to keep up with the group in front. Yes, these are funny, but slow play is a serious business, and let’s hope the marshalls are there to enforce this initiative. what a year, now the Captain’s Cup to add to President’s Cup I won last August!……. 56 players enjoyed great golfing weather, albeit a little windy, and the course was set up perfectly by Jonathan – tees back as far as they could go and some interesting (but fair) pin positions. Thanks to Ken Saunders for assisting Neil as starter and volunteering to go out last. Dave Lloyd put in a long shift on the computer keying in all the scores; Alicia and Kim also made notable contributions in organising a great evening presentation at Totana tennis club; Lynn and Sue provided all the players with cold drinks and hot dogs on the 12th tee. Mark Bray also went out last with the captain, so there was no chance of his encounter with the lake staying a secret. Trying to reach his ball in the water on hole 11 he stretched a little to far and slid down the liner – splash! It was so difficult to climb back up the slippy plastic that he considered swimming across to the other side! Another unpredictable performance by myself, don’t know what will happen week to week. Perhaps the secret is – don’t play more than once a week, never practice, not even on the putting green (don’t waste your good shots! ), and just a couple of swishes on the first tee! 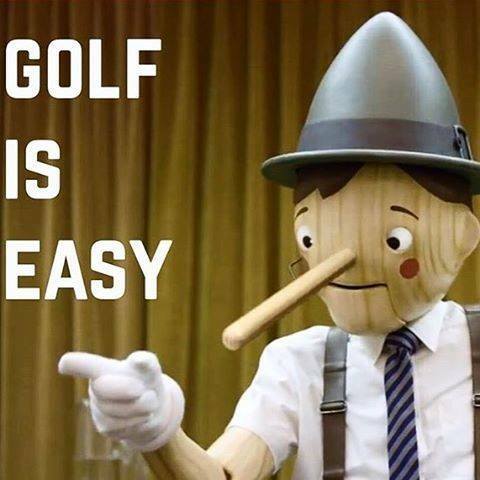 I should have known it was my day when I drained a putt from off the green for birdie on the 1st. Still, nothing remarkable after that with level par after 13, but a 9 iron to 3 feet on hole 14 for 5 points woke me up. Another 9 points on the last 3 holes ensured a good back nine of 23. But my shot of the round came at 18, where a wild 6 iron cleared the lake but settled in a bad lie between the 9th and 18 greens. Nothing to play with being short-sided with the pin just beyond the bunker, but somehow it flew up vertically and landed maybe 10 feet away from the cup. No one was more shocked than me to see the putt drop. Still, I wasn’t counting on anything but a handicap reduction, with Alicia and Kim already in the house and on form. It turned out that the best 3 scores of the day came from the first two groups! Kim’s only just arrived back from visiting her new grandchildren and straight back into the prizes……………..
the single figure golfers are queuing up to play with Don Henry…………. 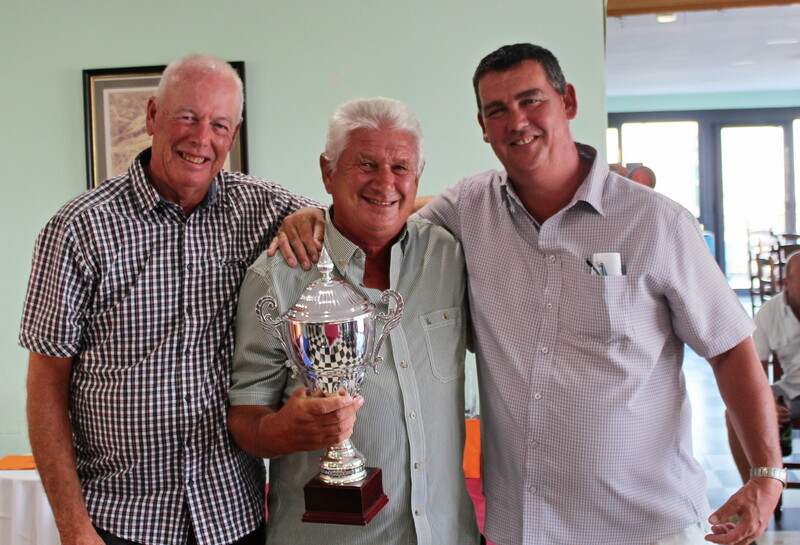 Stevie Locker, Les Hurren & Barry Greenall enjoying a post golf drink………. don’t be shy Stevie, we know it’s you………..
the G Man provided the entertainment………. well done Peter, showing the young ‘uns how it’s done!……. Next week is a 4 person team event with 2 scores on holes 1-6, 3 scores on 7-12 and all to count on the last 6 holes. As the title this week went to a Yorkshireman, time for another Yorkshire joke……………..